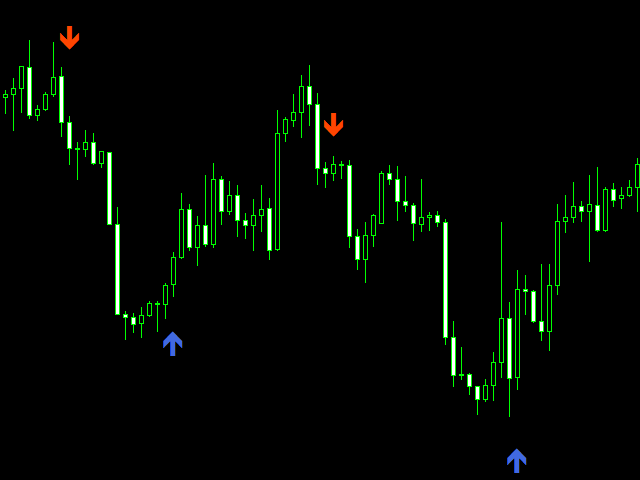 The indicator draws arrows for trades: a red down arrow is a Sell signal, and a blue up arrow is a Buy signal. This simple and user-friendly system is actively used for trading options. These settings are valid, however may change over time. Stay tuned and follow the updates more new and interesting features to be coming.